Archana works to explore the cusp of private sector innovation and socio-economic impact for maximum impact of the foundation’s delivery program in India. Before joining the Strategic Investment Fund team, Archana played a key role in shaping several of the foundation’s program delivery strategies in India, including agriculture, financial services for the poor, government relations, and advocacy for tuberculosis elimination. 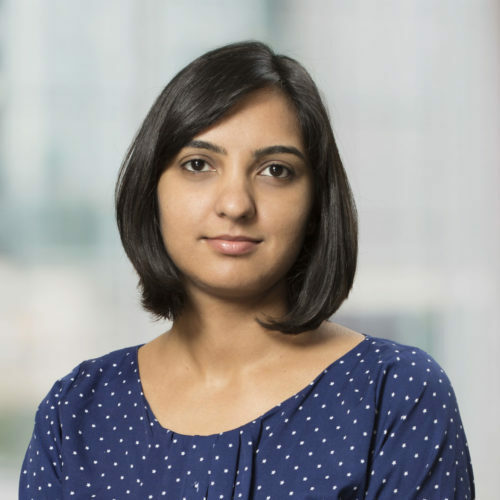 Prior to joining the foundation, Archana spent six years in management consulting at KPMG working with CXOs and cross-functional teams of various multinational corporations in India. Archana earned her bachelor of commerce at St. Joseph’s College of Commerce and an F.C.A from the Institute of Chartered Accountants of India.